Xiaomi Mi 5C seems to be in the news these days, earlier it was rumored to be the first device to sports Xiaomi's own Pinecone processor. With pinecone chipset set to be launched on February 28, it was speculated Xiaomi 5C to de launched alongside the chipset. 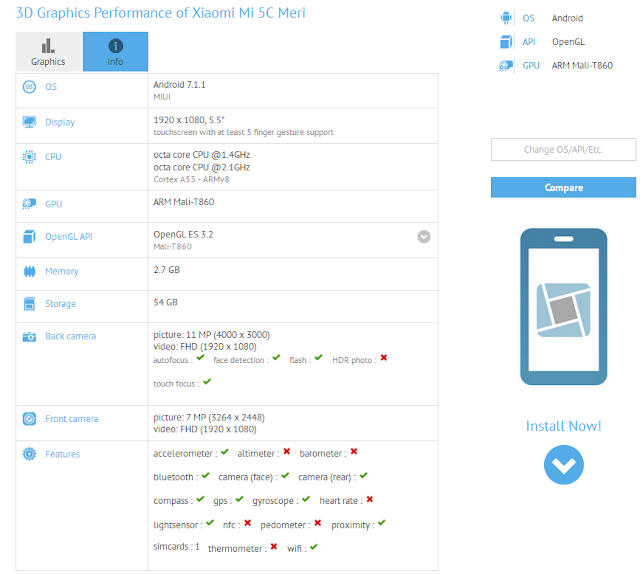 Meanwhile, Xiaomi Mi 5C has made its appearance on benchmarking website GFX bench. Although the specs of Xiaomi Mi 5C have been reported earlier the GFX listing throws light on the complete specifications.